With impressive skylines and architectural history, it’s worth exploring China’s coolest cities from above. Leave the chaotic street life behind and put your head in the clouds with a visit to nine of China’s – and thus the world’s – best rooftop bars. Beijing doesn’t have quite the futuristic skyline that makes Hong Kong and Shanghai heaven for rooftop aficionados. But what it lacks in modernity, it makes up for in history. 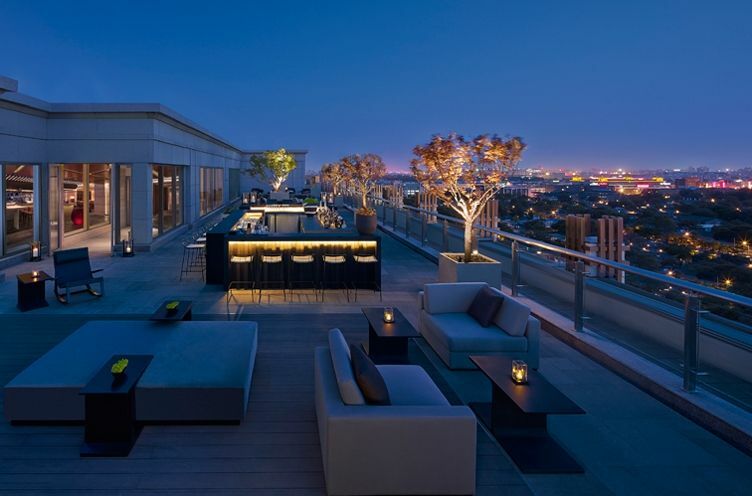 From the outdoor terrace at Yin Bar, you have a view of the gilded pagodas peeking up over the weeping willows of the Forbidden City, the White Dagoba Temple in the emperor’s former garden, the viewpoint in Jingshan Park and the terracotta roofs of the age-old hutong alleys. There’s no elevator, so be prepared to scale four to six floors of stairs to the rooftop. 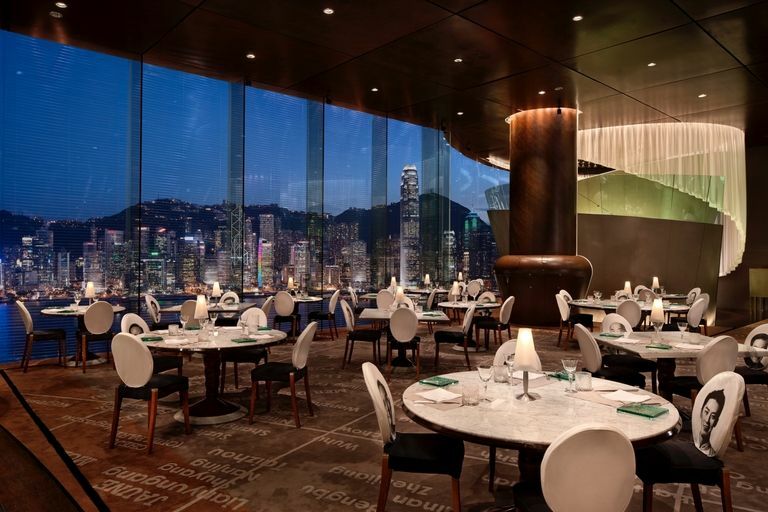 Designed by avant-garde genius Philippe Starck and set in a swanky landmark hotel adorned with what might be the most breathtaking view of Hong Kong Island’s endless skyline, Felix is one of the best rooftop bars in the city. Whether you want to wine, dine, dance or just sip cocktails that will make you as dizzy as the view, you’ll definitely be taken care of here. Felix is one of the best places to watch the nightly light show illuminating Hong Kong’s skyline, but show up early to get a front row seat. Be sure to visit the bathroom too; the glass urinals are straight out of a Bond movie. 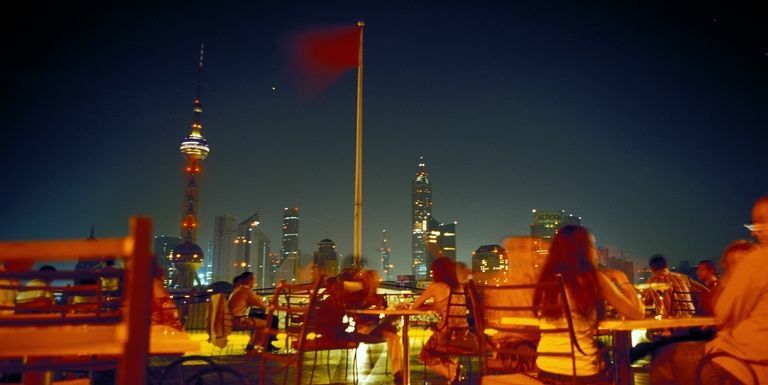 A visit to a rooftop terrace on The Bund is a must in Shanghai, with a view of the gleaming skyscrapers adorning the other side of the Huangpu River. 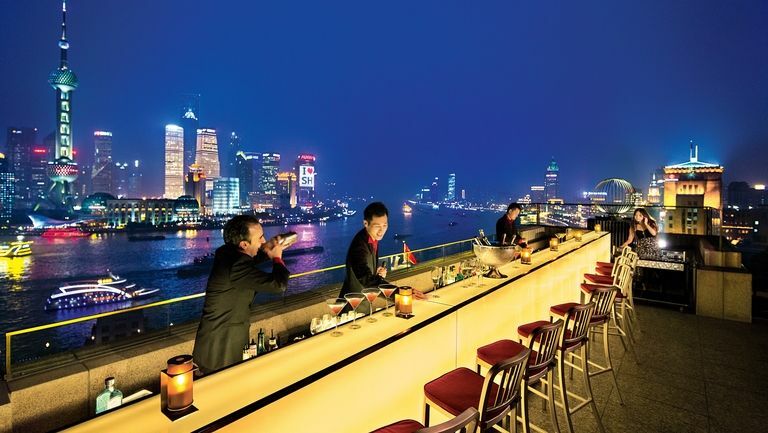 With its ideal location at the bend of The Bund, Sir Elly’s Terrace is one of the most legendary bars on the strip. The bamboo plants, art deco design and comfortable couches help give the outdoor terrace a chilled yet glamorous vibe, while the bartenders and the wine or whiskey lists are more ambitious than most. Show up at sunset to see the skyscrapers and, if you’re lucky, the stars come alive with glimmering light. Wooloomooloo might just have the best location of any rooftop bar in Hong Kong, a city of spectacular skyscrapers. It isn’t the highest located – Wooloomooloo is only a 31-floor lift ride from the animated streets of Wan Chai – but that’s precisely why it works so well. When standing on the wooden rooftop terrace, skyscrapers to all sides surround you and it feels as if you’re halfway between the trams whizzing by on the streets below you and the planes buzzing above. Skip the restaurant and head straight for the rooftop deck; everything else pales in comparison with the view.